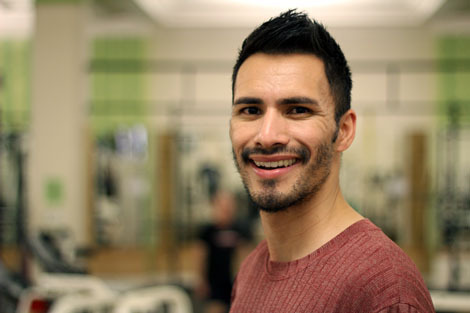 Dan "Hips Don't Lie" Flores is a licensed Zumba® Fitness instructor and has been a member of the Zumba® Instructor Network (ZIN™) since March 2012. He grew up listening to the dynamic rhythms of Afro-Caribbean music, so his style has a strong Latin influence, but he incorporates a variety of genres in his high-energy classes, including salsa, samba, soca, dancehall, and Bollywood. His teaching philosophy is that dance-fitness isn't all about dancing; it's more about having fun! So unleash your inner artiste! No experience necessary. Ditch the workout, and join the party!